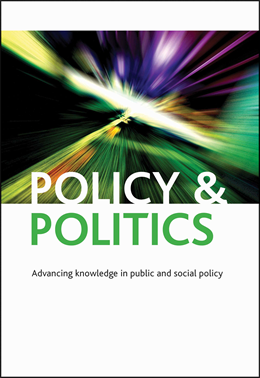 Browsing through the latest April 2016 issue of Policy & Politics, I was ‘inspired’ to review the article entitled ‘Participatory policy making under authoritarianism: the pathways of local budgetary reform in the People’s Republic of China’ by Xiaojun Yan and Ge Xin. Their research touches an interesting innovation in China’s public sector that aims to engage citizens in local budgetary decisions. The fundamental dilemma, as the authors clarify, is the enthusiasm of an authoritarian system in civic participation. Why do local governments of China adopt reforms to empower citizens? To what extent have these kinds of reforms empowered citizens? What is the potential for these kinds of reforms to be expanded and upgraded? These are all critical questions to understand China’s evolving political system. Usually the corporatist strategy, namely the state’s authoritative recognition of an organization as the legal and sole representative of certain sectoral interests, has been adopted to explain Chinese governments’ policy toward external forces, for example the rising economic and social elites (for example, Truex, 2014) and the rising new social organizations (for example, Jing and Gong, 2012). So are there differences in engaging ordinary citizens? Keep in mind that the Communist Party of China(CPC) never lacked citizen engagement in its history. Even after the civil war and the establishment of People’s Republic of China, the CPC frequently used mass movements to engage citizens for multiple political and policy purposes. To respond to these and further concerns, the authors identify three cases of participatory budgeting in Qingxian, Wenling and Jiaozuo that demonstrate representative, consultative, and transparency pathways of participation, for analysis and comparison. The authors make quite a few intriguing observations and arguments. For example, they believe that these reforms led to more citizen trust. They assert that “local participatory reforms may also have little or nothing to do with democratisation”. Although they believe that these reforms are basically designed for improving local governance, they are not sure about their sustainability and future development. To decipher the many intricacies inside this phenomenon, probably a major key is to understand the evolving CPC and its ruling strategies. As Wilson (1887) argues, “the desire to keep government a monopoly made the monopolists interested in discovering the least irritating means of governing”. The CPC has been doing pretty well at systematically and interactively learning to improve its governance quality. Participatory reforms are only another example of the self-adjustment of the Party-state in response to enormous domestic challenges. While many reforms failed and faded away, many were also more or less successful. Together they shorten the gap between what the regime can provide and what the citizen expects. Usually these reforms are only gradually adjusted, formalized, and improved. And in many cases they have a short/incomplete life span, embedded in a long stream of more or less connected reforms. As a note of caution, however, the incremental characteristic of China’s reform often makes it difficult to make conclusive arguments on the basis of limited cases. This paper corroborates that. If you liked this blog post, you may also be interested to read Depoliticization, Governance and Political Participation by Paul Fawcett and David Marsh.